In 1987 William Montgomery was appointed Chairman of Sotheby's International Realty Ltd. in Europe, with the specific directive of developing the company outside the United States of America. From the head office in London, exclusive affiliate offices were set up throughout Europe, specialising specifically in properties of architectural merit. In 1992 until 2004, the organisation of the expanding European affiliate network was brought under the control of Sotheby's International Realty in New York. William Montgomery's principal area of activity as an exclusice affiliate of Sotheby's International Realty then focused on Ireland and Scotland. In 2004, Sotheby's Holdings sold the Sotheby's International Realty brand name to the Cendant Corporation and William Montgomery decided to relinquish his affiliation with the new Company. From 1986 until 2005, William Montgomery, as Sotheby's International Realty's Exclusive Affiliate in Ireland, was involved in the marketing and sale of many of the most important properties in the country. 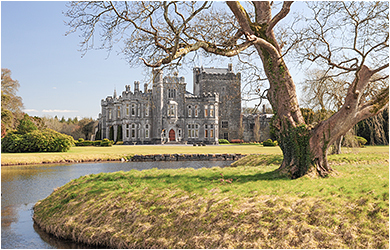 Sotheby's International Realty's first Irish property was Tulira Castle in Co. Galway. While visiting in 1986 to value some of the contents, the owners asked if Sotheby's could also sell the castle for them. 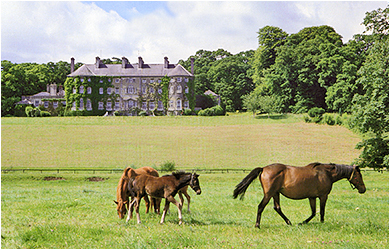 In 1986 and 1987 instructions were given by Major Victor McCalmont to organise two successive house-contents sales at Mount Juliet in Co. Kilkenny. 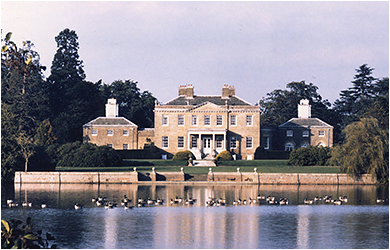 The estate was subsequently sold through Sotheby's International Realty in association with Christopher Stephenson International and is now a world-famous country club. Tulira Castle, County Galway, Ireland. Mount Juliet, County Kilkenny, Ireland. Also in 1988, the sale of Straffan House in County Kidare became the highest price paid for an estate in Ireland; (this is now the internationally known K Club). 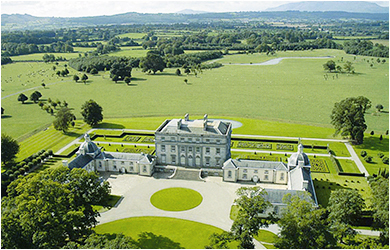 In 1991, Sotheby's International Realty negotiated the most important country property transaction in Ireland when arranging the private sale of Castletown Cox in Co. Kilkenny - "acknowledged to be one of the six most important country houses in Ireland." (the Irish Times Property Supplement, 20th. June 1991). 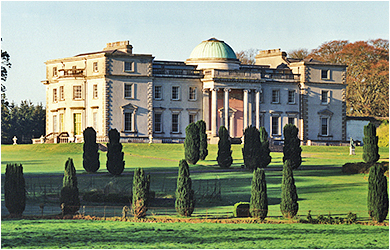 In September 1995, after lengthy negotiation with The Office of Public Works in Dublin to agree a suitable financial package, Emo Court in Co. Laois was transferred to the Irish Nation at a special ceremony hosted by Mary Robinson, President of Ireland. 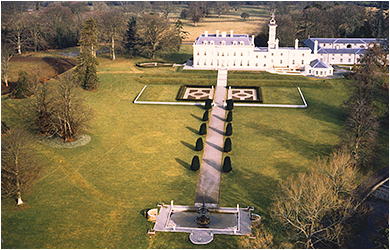 Emo Court, built for the Earl of Portarlingon, was designed by James Gandon, best known as the architect of the Custom House in Dublin. Straffan House, County Kildare, Ireland. Castletown Cox, County Kilkenny, Ireland. Emo Court, County Laois, Ireland. 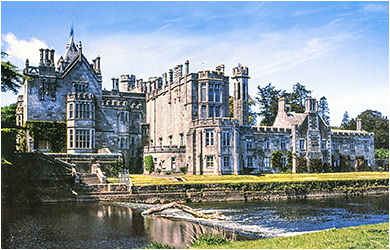 Adare Manor, County Limerick, Ireland. 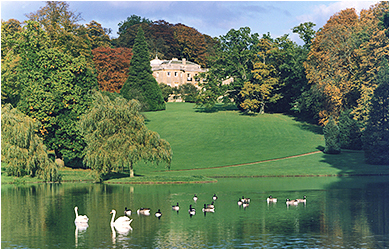 In the first half of 1988, Sotheby's International Realty achieved the highest price for the sale of an estate in England by selling Daylesford in Oxfordshire on behalf of Baron Thyssen to Sir Anthony Bamford. In the second half of 1988, this record was overtaken when selling Ascot Place near Windsor, on behalf of a European entrepreneur. Two years later, Sotheby's International Realty were retained to remarket the property, and achieved another record price when it was sold to a member of the ruling family of Abu Dhabi. Daylesford, Oxfordshire, England. Ascot Place, Windsor, England. 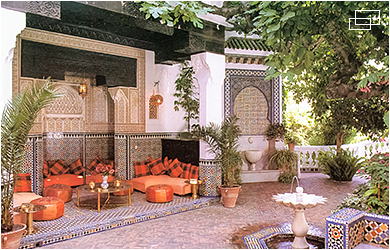 In 1990, as part of its increasing emphasis on Europe and the Mediterranean, Sotheby's International Realty completed its first sale of a property located in the Arab world: Dar Sidi Hosni in Tangier, Morocco; once owned by the American Heiress, Barbara Hutton. 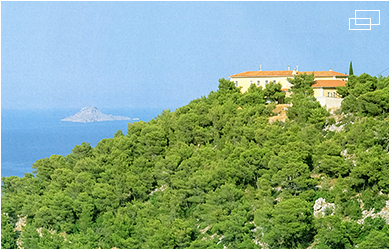 Aitos was the first property to be listed in Greece and was as a result of a meeting between William Montgomery and the owner, while both were swimming in the sea off the coast of Corinth! 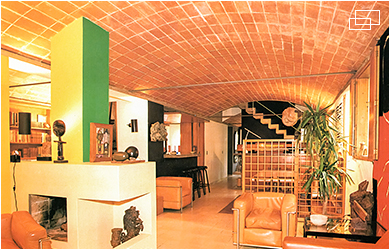 Les Maisons Jaoul in Paris, designed by Le Corbusier, are considered to be landmark residences - built of rough brick, concrete and timber, an elegant and sophisticated living environment was achieved, which set the foundation for a new architectural trend in Europe. 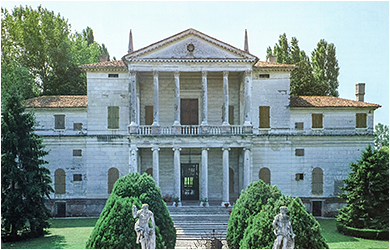 The Villa Cornaro is one of only 19 surviving villas designed by Andrea Palladio. It was bought in 1969 by Dr. and Mrs. Richard Rush from Miami, who then restored it as a major Renaissance work of art. The extract at the foot of this page is from their letter to William Montgomery, following the sale of the property. Dar Sidi Hosni, Tangier, Africa. Aitos, Greece. Les Maisons Jaoul, Paris. Villa Cornaro, Italy. It has been a very difficult job to get all of the permissions and all the necessary documents together to sell the Villa Cornaro... I want to take this opportunity to say that I have never seen a better promotion than you put on for the Villa Cornaro. I am sure you have never before done such a thorough and effective job and you may well not be able to put on such a campaign ever again. The Italian market in effect didn't exist and you hit exactly the right potential buyers everywhere else. You are to be commended.